Regardless of your business’ size, age, or service niche, nailing down a solid price list for labor services is one of the most difficult parts of establishing a successful business. Within the HVAC industry, entrepreneurs like yourself went into the business to turn a proper profit. Unfortunately, more often than not, HVAC business owners find themselves building their HVAC price list template based on undercutting their local competitors. While this does effectively push bargain-hunters toward your undercut service prices, it doesn’t usually leave you with the most ideal profit margin. There are a number of components that factor into constructing a smart pricing model. Between overpricing and underpricing your services, you could be risking your business’ success by implementing a poor HVAC pricing guide. Unlike pricing physical products, pricing your services takes a bit more research and consideration. This means that while there is no one-size-fits-all process to create your price list, there is more opportunity for you to calculate the value of your time. Housecall Pro can help you manage your HVAC business. Online booking. Communication. Invoicing. Marketing. Learn more. The following guide will walk you through how to create a smart pricing list template and how to keep your business booming while turning larger profits. The first step to constructing an effective HVAC price list template is conducting a bit of market research. You’ll want to seek information about your local and regional HVAC market and see what those businesses offer for services and how much they are charging on average. Try to identify the closest competition by looking for a business that’s closest in size to your own operation. This will help give you a better idea of how those companies function and stay in business, ultimately giving you a reference for how to manage your own. Despite popular belief, newer businesses will give you far more insight into how to price your services than long-standing establishments. Since new businesses don't yet have years of reputation history and client loyalty to back them up, they needed to figure out how to thrive and price HVAC services all on their own. What are their service request trends? What services are most common? What times of the year are significantly busier than others? What makes one HVAC business stand out from another? Having a solid answer to each of these questions will set you up for success when planning your HVAC price list template. Not only will you be able to determine your business potential, but you’ll get a realistic sense of how your business fits into your local HVAC scene. Instead of randomly setting a price on your technicians’ labor, calculate the exact numerical cost of that labor. In order to set yourself up for success, you have to be sure that your service costs will cover the many expenses that are already attached to running an HVAC business. These costs can be broken down into three categories: material, labor, and overhead. Anything and everything spanning from ladders and face masks to valves and pumps all qualify as material costs. 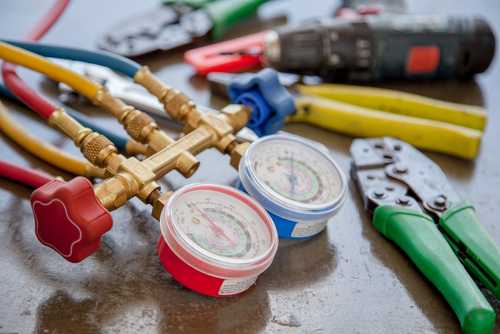 Just as an auto-repair business would charge the supply cost of brake pads or oil canisters, HVAC businesses need to track the total cost of supply items. This will ensure that item supply costs won’t put you into the negative. According to Paycor, labor costs can account for as much as 70% of total business costs. This includes employee hourly wages, salaries, benefits, and payroll. If your business functions as a middleman for a service, you become responsible for hiring an HVAC technician and making sure they get paid out. Paycor also found that most business only spend 15% of their time managing labor costs, and since these costs vary from employee to employee based on experience and expertise, it is easy to fall into a hole where labor costs put you in the negative. Tracking your labor costs allows you to stay on top of your overall company deficit and give you a clear sense of a realistic profit goal. Overhead costs are all other costs that factor into running, marketing, and managing your business. Examples include office laborers who handle HVAC invoices, advertising, utilities, monthly rent, taxes, insurance, gas mileage, and outsourced labor costs. These indirect costs need to be covered by the prices offered on your HVAC price list template. This number will give you your net income. 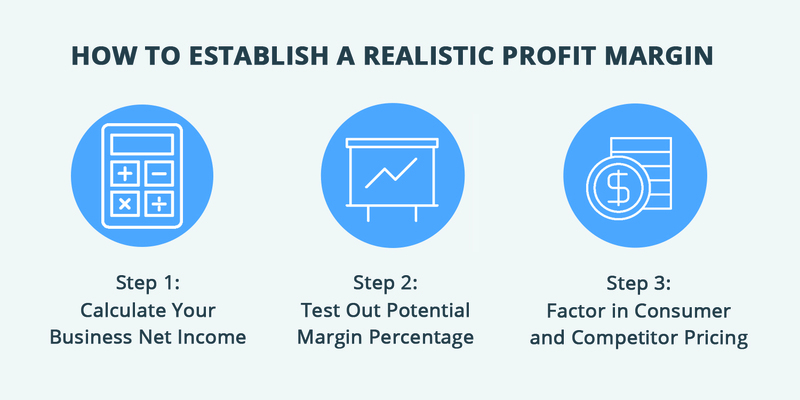 Divide your net income by the total revenue you previously calculated to determine your current profit margin. Increasing your profit margin means upping your sales goals. If you calculated that your current profit margin is 15%, play around with the numbers to see what happens. What if you dropped overhead costs by $1,000? How high would your profit margin be? Set a goal and tweak your numbers until you get close to your target. When toying around with potential margin goals, be sure to keep in mind the overall costs on both ends. The end goal is to smoothly increase your profit, not overwhelm your business with over-ambitious targets. It is incredibly important to keep consideration of your competitors and consumers in mind when adjusting your finances to a goal profit margin. While you do want to keep your prices high enough to turn a profit, you don’t want to scare away potential clients with prices surging higher than your local competitors. Keep your prices grounded in realism to keep your HVAC company growing. Now that you have a solid grasp on what research needs to be done to reach your target audience with service prices that make both parties happy, it’s time to pin down your pricing model. The two most popular pricing models for HVAC companies are flat rates and hourly rates. Each model comes with pros and cons worth examining. Pros: Most businesses prefer this model. Pricing by the hour means your rate of return actually correlates to the time and labor put in. Instead of pricing specific services—say, for example, replacing a filer—you are putting a price on the value of your service. Because what were to happen if you went to replace a filter and saw that it demanded much more effort than a standard job and took you a lot longer to finish? Unfortunately, unless you priced your HVAC service by the hour, you’d be locked into that one flat fee. Your hourly rate should be determined by you and your technicians level of expertise—seniority should be considered here. Cons: The only downside to hourly rates is that timekeeping can become a mess if done manually. Fortunately, HVAC software systems like Housecall Pro allow you and your technicians to track time from the moment they set off to the moment they complete the repair—all on one app. Pros: Clients love knowing exactly what they’re paying for. Flat fees allow HVAC business owners to set the price (with justification behind the price) and give customers peace of mind that the job will be done at the cost originally stated. Cons: The most significant disadvantage of charging a flat fee is the possibility of a project taking far longer than expected. If an AC unit repair is slated to run about an hour but ends up taking your technician two hours, your deficit costs may ruin the projected profit from that job. Flat rates can sometimes end up being a risk for small business owners, especially during busy seasons. 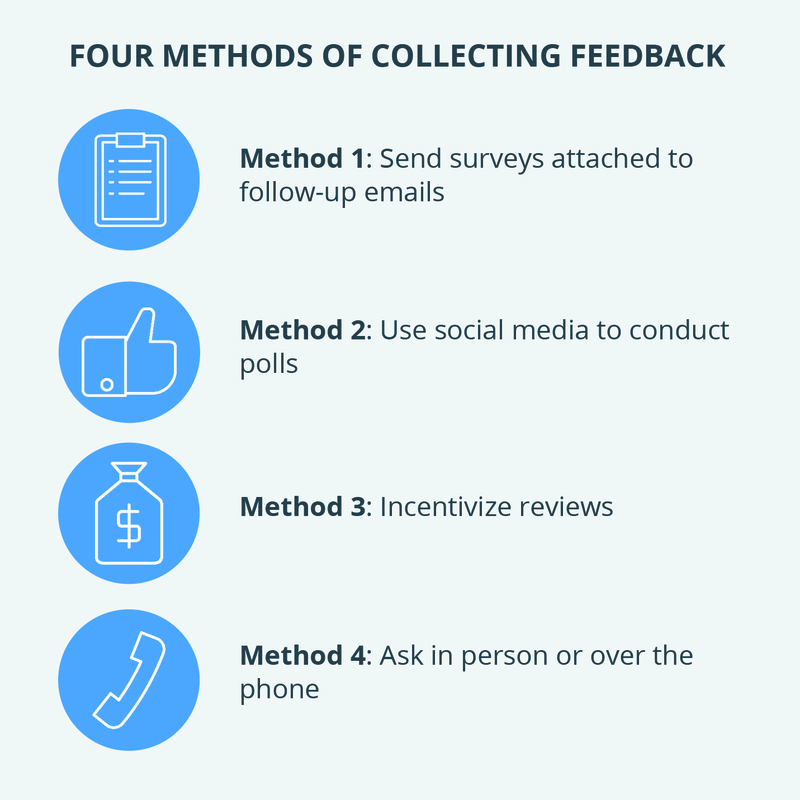 Send surveys attached to follow-up emails: In a follow-up email once service is complete, ask your customers to gauge their satisfaction. To keep things simple, ask them to indicate on a scale of 1-10 how satisfied they are with the professionalism, timeliness, and value provided by your service. Use social media to conduct polls: Power up those social media accounts and pose questions to your followers to generate noteworthy feedback. Incentivize reviews: Consider running a promotion that incentives reviews from happy customers. You could offer discounts on future services if someone mentions you on Yelp or Facebook for an instant win-win. Ask in person or over the phone: Brush shoulders with pros in your industry and ask them about their HVAC pricing strategy over the phone or in person. Creating an HVAC service price guide requires a great deal of extensive research, careful planning, and diligent construction. In order to keep your HVAC business thriving, you have to keep a watch on all your deficit expenses while monitoring your costs, making sure that they are all generously covered by your HVAC service income. Setting the right price leads to happy clients and happier business owners, keeping you well above your bottom line.